Yellow daisies are generally referred to as sunflowers in North America, and they certainly have a dazzling array of them. 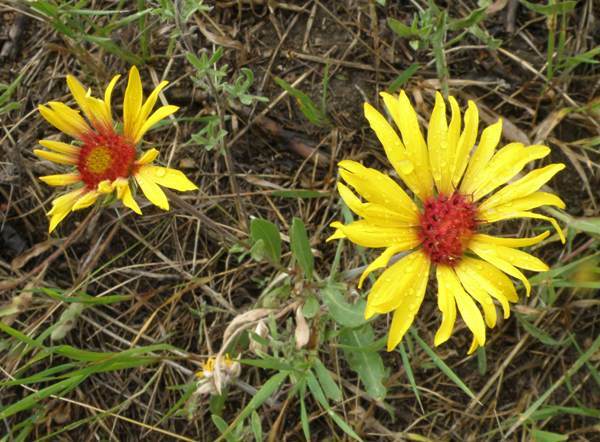 Blanket Flower is most easily separated from the others by its very red 'eye'. It grows throughout the western mountains and we saw many of them in Rocky Mountain National Park. It grows very readily from seed and is a popular plant in gardens as well as being common in the wild. This plant grows on roadsides, on slopes, in meadows, forests and hillsides and can be found quite high up in the mountains. Blanket Flower blooms from June to August.